North Austin Mobile Auto Repair offers professional services for auto repair in North Austin. North Austin Mobile Auto Repair requires expertise and qualified people who take care of every detail and ensure the right result. Our experts are highly skilled in auto repair. We offer auto accident repair services and pride ourselves on our ability to work on any make and model of vehicle. Our primary focus is offering convenient, affordable auto repair service, with integrity and respect for our customers. We are always careful to recommend the most cost-effective solutions to your auto repair needs. We do not recommend unnecessary services. Your trust and confidence are always more important to us than making a few extra dollars on things you don’t need. We are very proud that 90% of our business comes through referrals from loyal customers who have used our car repair services. We hope you will be one of many customers we have had the privilege of serving over the years. 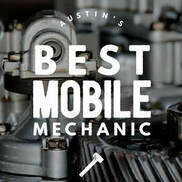 North Austin Mobile Mechanic: 512-746-7277 Mobile Mechanic North Austin, TX.